Locations regularly practiced at include the courthouses throughout the Greater Toronto Area, Newmarket, Brampton and Oshawa. 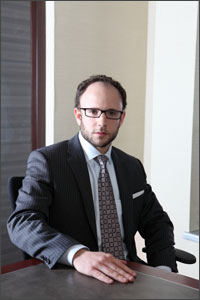 He will, however, defend cases in any part of Ontario to protect the rights of his clients. In addition to the areas mentioned above, Mr. Luft has successfully defended cases in Milton, Hamilton, Barrie, Brantford and St. Catharines. Mr. Luft is an experienced Toronto criminal lawyer with a practice that specifically focuses on defending those who are charged under the Criminal Code or the Controlled Drugs and Substances Act. If have been accused of committing an offence in one of these locations, click on the link below for more information about the courthouse. When you are facing criminal or drug charges, it is critical that you hire an experienced Toronto criminal lawyer who will defend you the whole way through. Morrie Luft, a criminal lawyer in Toronto, will closely examine the allegations against you and explore every possible angle to ensure you receive the best defence. He will never give up on you because your case appears difficult. In defending your case, he will work tirelessly to ensure he advances every argument and defence that is helpful to your case. Click here for directions to Mr. Luft’s office. Call me at 416-433-2402 for a free consultation. I am available 24 hours a day, seven days a week. My office is located at 36 Lombard Street, Suite 100, Toronto, ON M5C 2X3. Please do not send us any confidential information regarding your charges or case by email.